Mark Gilbreath, founder and CEO of LiquidSpace—a digital marketplace that enables users to secure temporary office and meeting spaces on-the-go—hosted our October webinar, sponsored by Tandus Centiva. The biggest takeaway we walked away with is confirmation that when companies embrace services like LiquidSpace, they see a major ROI in employee engagement and productivity—the important stuff. 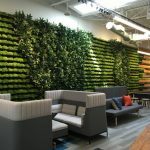 “Progressive companies are recognizing that when they give their employees choice—whether that choice means the ability to move around their own campus or their own building, or whether that choice also means the empowerment to choose great space beyond the office—they’re seeing strong responses in terms of employee engagement,” said Gilbreath. Scroll down for Gilbreath’s answers to your best questions from the Q+A portion of the presentation, and Sharpie us in for our next webinar on November 19 with Gensler‘s Collin Burry as he talks about what tech can teach us about the workplace. Tickets and more details here. An example of meeting space options available on demand in Washington, DC. Screen shot via liquidspace.com. Webinar attendee: How do private corporations with excess space handle security and confidentiality concerns when using something like LiquidSpace? Mark Gilbreath: It’s a great question and there’s not a black and white answer to that. They first have to take stock of their own environment and their own needs for security. In the simplest of cases, companies are taking environments that are already sort of clearly demised: meeting rooms off of a shared lobby environment, or a whole floor that they can move into a sharing capacity without the intermingling of employees. That said, there are companies that are less concerned about that intermingling, that are beginning to open up things like desking in shared floor plans where you may have a guest user sitting next to an actual employee. So I’d say it depends. Our platform and our service does allow companies to exercise some care and control around who they give that privilege to. As you might imagine, banks are not opening up their trading floors to sharing, but many a tech startup are happy to share those unused desks. The LiquidSpace experience attends to revealing to the guest things like WiFi codes or door access codes when they check-in. So we can provide a tie-in to physical security, and to data access security. And we’ll work with our clients in a consultative way to help them think safely around what spaces might be appropriate to share without sacrificing their needs for security. As you might imagine, banks are not opening up their trading floors to sharing, but many a tech startup are happy to share those unused desks and they may kind of like the fact that they have some fresh faces flowing in and out on a daily basis. Does LiquidSpace curate spaces by user type — for example, creative, legal, etc. — and provide ancillary services tailored to those users? [We are just about to launch] a new website front-end and a new search experience within LiquidSpace. There are tiles that are dynamic—you can click on any one of them and they take you to a uniquely curated set of spaces that are well-attuned to a particular type of activity. So if I click on the “Legal Deposition Meetings” tile, it will take me to a search results experience [where] all of the inventory shown to me will be spaces that are appropriate for depositions. An example of the the forthcoming search experience on LiquidSpace that aligns types of spaces with end-user needs. Image courtesy of Mark Gilbreath. Depositions have to be conducted in environments that have non-round tables: there has to be a square or rectangular table, there has to be a conference phone in the space, it has to have four walls and a door and audio privacy. So this move in our user-experience is all about re-framing the experience around the use-case. So instead of pushing space-type, we’re actually taking the conversation and framing it more in the terms of the end-user. If I’m an attorney and I’m looking for a space to do a deposition, I don’t want a meeting room: I want a deposition space. What are the biggest trends that LiquidSpace is finding from their heaviest users? The first one that pops to mind is a steady shift that we’re seeing in terms of booking lead time, and by that I mean how far in advance of the planned use of the space is the customer of ours actually booking it. When we first launched the service, the average lead time was about a week. The average lead time now is less than 2 days—about 1.2 days. The translation there, from our surveying and interpretation of data, what we see that means is that the market is growing more and more confident about the quality and the availability of space on demand. So we’re seeing more in-the-moment bookings. The market is growing more and more confident about the quality and the availability of space on demand. Situationally, it might be that my meeting in Lower Manhattan was just cancelled, but now I’ve got 2 hours to spend and I need to find a productive environment to do that, rather than try to get it done at a Starbucks. The fact that LiquidSpace is starting to break through in terms of awareness, and people are trusting that if they turn to it in the moment they’ll find a great space, is translating to shorter and shorter lead times. Thanks again to Mark, and to the audience for great questions! We hope to see you again at next month’s webinar, “Is the Design Boom in San Francisco a Vast Right Wing Conspiracy?” Tickets here.